Your children will have doubts! 40% report their first doubts in junior high school. Will you be ready? Recorded live, this 3 CD set is perfect for addressing these issues. 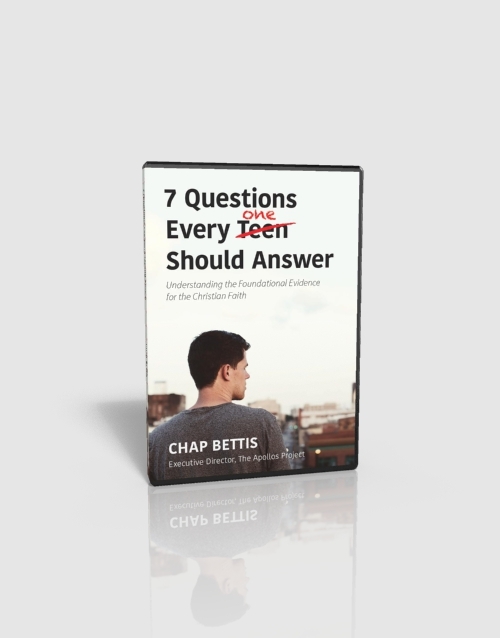 Parents and young people can have their questions answered together. In addition, it is a perfect introductory gift for someone who is just thinking about Christianity. How do we know that Jesus existed in history? Can we trust the gospels as history? Did Jesus of Nazareth rise from the dead? In addition to the 3 CD set, you will also receive the ability to download the mp3s to your smart phone. You can share these with the whole family and then give the physical CD away to an unbelieving friend! A great value. Also, you will receive 4 bonus downloads. The Power of Apologetics and Worldview – A seminar that explains why apologetics is so important in the life of our teens. Jesus Wept: Thoughts on Suffering – A sermon that expands on one point in the seminar. Evangelism for the Tongue-Tied – A 90 minute overview seminar of my book by the same title.